The Inca Trail is probably the most popular trek of South America and needs to be booked between 2 and 4 month ahead, in order to avoid disappointment. There is one single booking system all travel agencies work with: once it’s sold out, you won’t find a spot anywhere. 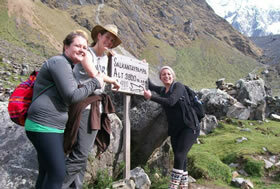 The trek includes amazing views, many other Inca Ruins during the first three days and impressive flora and fauna. The fourth day is dedicated entirely to a visit to the ruins of Machu Picchu themselves – and to the trip back to Cusco, by train. 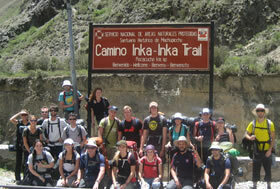 Also called “the alternative Inca Trail’, as indeed many people do this trek as a second choice, once the Inca trail is booked out. But the Salkantay trek deserves to be more than “ just” a second option… There are less ruins, but the views are at least or more impressive! Includes 3 nights of camping and 1 night in Aguas Calientes, in a hostel; the last day is a visit to the Machu Picchu ruins and you come back to Cusco – by train – at night.